Crafton Entertainment - Mr 2kay's record label, have released a statement regarding the attack on the artiste on Sunday, October 22, 2017, at Eko Hotel and suites in Lagos. Mr 2kay who performed at Buckwyld & Breathless, a show organised by Buckwyld media, was attacked at gunpoint by four men who pretended to be the hotel's room service attendants. According to the press release: "We would like to use this medium to appreciate Mr. 2Kay’s fans for all their support and messages when he was attacked on Sunday, October 22, 2017, at Eko Hotel and Suites in Lagos where he performed at Buckwyld & Breathless, organized by Buckwyld Media. Like you may already know, Mr. 2Kay was attacked in his hotel room at gunpoint by four men who pretended to be the hotel’s room service attendants." According to the release, the four men knew the room Mr 2kay was lodged in from Burna Boy's Manager - Joel Kantiok, who got the information from Mr. 2Kay's road Manager, Samuel Micheal. 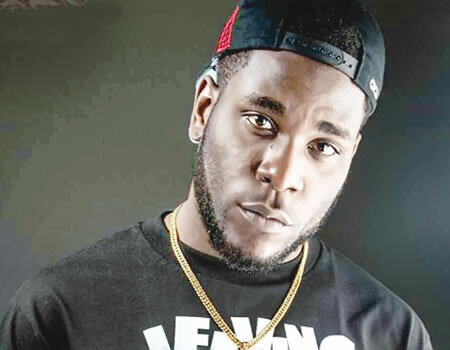 Following investigation by The Bar Beach Police Station, Mr Samuel Micheal was detained for allowing Burna Boy's Manager to follow him to Mr. 2Kay's room, but was later cleared after more investigation. On request, the case was transferred to the Commissioner of Police, Efgal Imohimi at the Federal SARS Headquarter in Ikeja, where the accused confessed. The statement further reads: "According to the commissioner, the robbers confessed that Joel Kantiok informed them of Mr. 2Kay’s room 0847 where they assaulted Mr. 2Kay. The robbers said they were paid by Burna Boy to “Teach Mr. 2Kay a lesson,” hence the Police declared Burna Boy wanted. As lawful representatives of Mr. 2Kay, Grafton Entertainment would love to use this opportunity to clarify some of the information that has been going round in recent time."